We know Christmas can be a busy season of shopping, eating, and parties. But at Every Nation NYC we are here for you to pause and get into the real Christmas spirit. Join us for an informal Christmas Carol Night featuring festive music, the Christmas story, and holiday refreshments. All are welcome, so grab a pal and warm up your voice for a great night of community and Christmas. 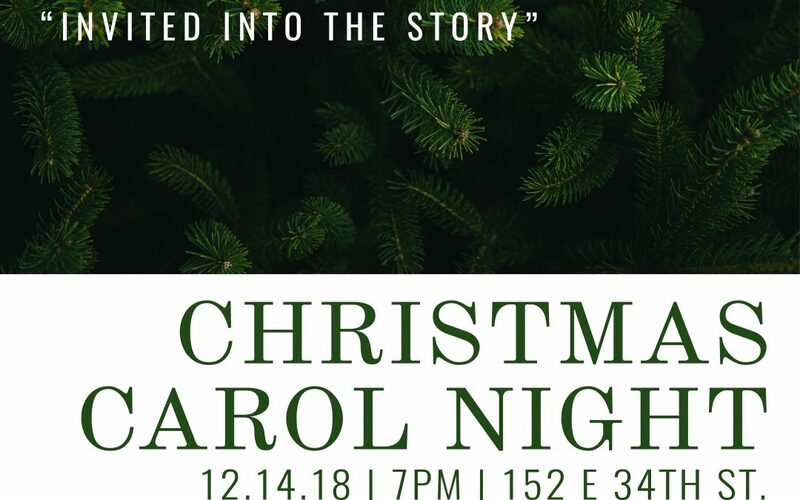 The Christmas Carol Night is hosted in AEC 152 E. 34th Street in the Murray Hill area of Manhattan. It is walking distance from Central Station. Subway lines: 4 6 7. The M 34 Bus stops directly outside the venue. On street parking is available all around the venue. Make sure you follow us on Facebook and Instagram @everynationnyc to keep to date. Find out more about Every Nation Church, New York. Find out more about Sunday Services at Every Nation Church, New York.